Two weeks from now (Feb. 4), this blogger will be aloft on a Delta Air Lines flight half-way across the Pacific. Destination: Seoul, and a couple of days later via rental car, PyeongChang and the 2018 Winter Olympics. It's exciting this countdown to the Games, my fifth consecutive snowy Olympiad and 11th overall trek to a new host city. 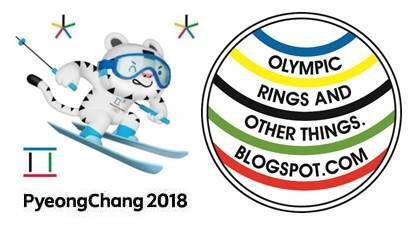 This will be a first-time adventure in South Korea, and I'm as pumped about exploring the historic 1988 summer Games sites in the nation's capital as much as experiencing the shiny and new venues in the mountains and on the east coast of the Korean Peninsula. 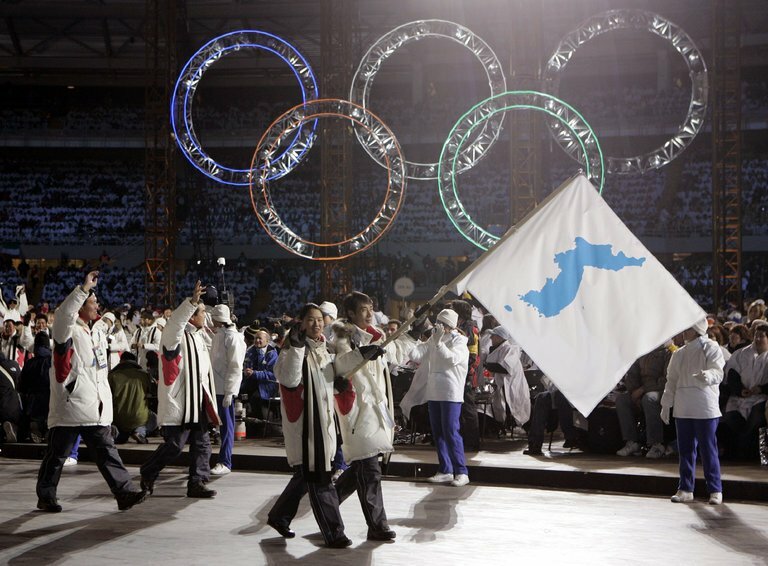 As with prior travels to Olympic competitions at destinations deemed "unsafe" (Rio with Zika), "un-secure" (Athens w/terrorism) or "scary" (Sochi or Beijing and "being watched"), friends and family already inquired about the outlook for PyeongChang safety and the Olympics' proximity to potential aggression from North Korea. Honestly, since 2016 I was always more hung up on the potential for a Rio-repeat (abysmal and frustrating fan/volunteer logistics) than ever concerned about the Communists a few mountains away from the snow venues south of the 38th Parallel. Fortunately, North Korea's pro-Olympic stance announced on January 1, and subsequent friendly conversations involving International Olympic Committee top brass and diplomacy from Korea's North- and South-based leadership, put many folks' (and my own) further at ease that peace will reign in PyeongChang. Will a Nobel Peace Prize result from this? Maybe. It's historic and exciting to read about the unified team, individual athletes from both South and North, and the delegation crossing the border in just over 21 days. I'm definitely going to try to score an interview with some North Korean athletes or fans (wish me luck). Let's just hope The White House avoids mucking up things in the next 18 days to the Opening Ceremony and the 16 Games-time days and nights that follow! Thankfully (sort of), the Team USA delegation leader-designate is Vice President Mike Pence -- what thin ice will he manage to skate and create next month? We'll see. 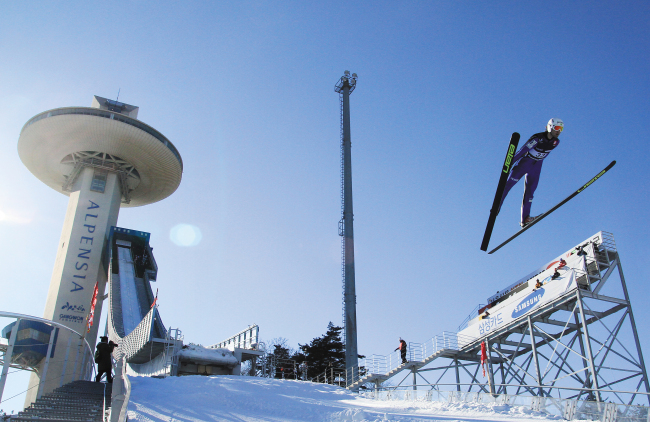 Blog and PyeongChang mascot image by Nicholas Wolaver; ski jump photo via KoreaHerald.com; Torino 2006 Opening Ceremony photo via Associated Press.